Baccarat is one of the most versatile card games in online casinos in that it can be molded into various variants that would best serve the taste, demand, preference, and needs of players. One of its most innovative forms is the Baccarat Super 6, a game available at the 12Ruby Club. 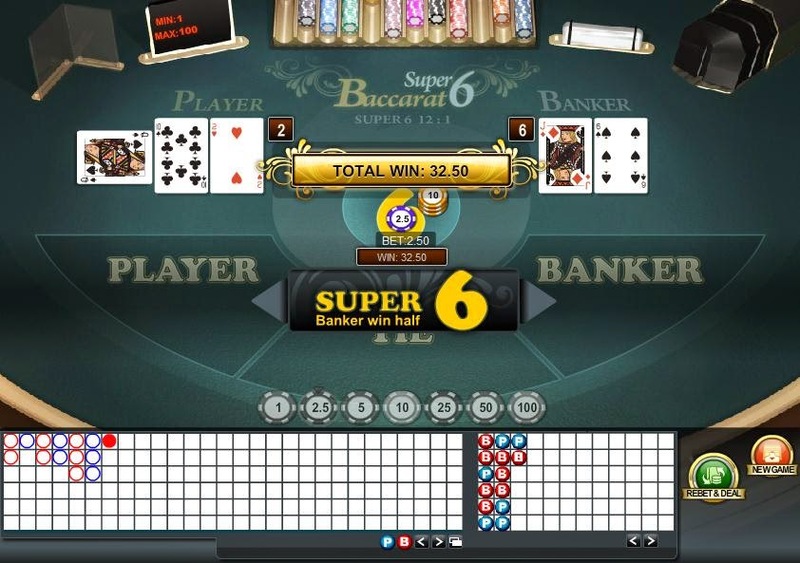 Baccarat Super 6 is played almost the same way as the traditional Baccarat, except for a few modifications. Here, players go against the house and will need to predict or guess the hands’ result. The main goal for players is to pick the best hand which they think will produce the highest value. Zero (0) is considered the lowest while nine (9) is the highest. For hands that have a total of more than 10, the second digit will be used as the base for counting. For example, a hand with card total of 18 will be valued at eight. Payouts for Player (1 to 1) and Tie (8 to 1) bets are the same as for normal baccarat but the payout for Banker wins is different. The Super 6 bet can be chosen if punters think that the banker will win over the player with a hand total of exactly six. If they bet on the Banker and his hand totaled to six, they will only win half of their bet instead of the normal 1-to-1 payout. However, if they wagered on Super 6 and the banker’s hand was indeed six (and the player’s was less), they win 12 times their bet. Experience how Baccarat’s “sixth sense” works. Play Super 6 now at 12BET!